On St. Croix in the West Indies, Alexander Hamilton had a half-brother named Peter Lavien. Around 1764, Peter Lavien moved to South Carolina, where he owned a plantation in Prince William’s Parish along with co-partner John Kean. Kean later represented South Carolina in the Continental Congress, supported ratification in the state’s ratifying convention, was a leading Federalist, became cashier of the Bank of the United States, and married Susan Livingston, niece of William Livingston. As a leading Federalist and cashier of the Bank of the United States, Kean often corresponded and interacted with Alexander Hamilton. By marring Susan Livingston, John Kean came to own William Livingston’s home, Liberty Hall. I asked William Schroh Jr., Director of Museum Operations at Liberty Hall Museum at Kean University, if he had anything in The Papers of John Kean related to Peter Lavien. 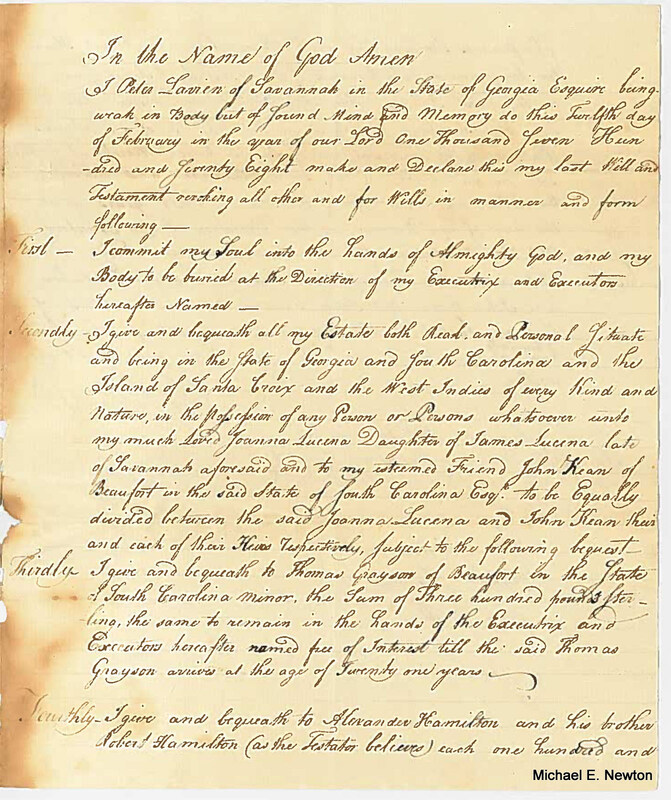 Turns out that William Schroh and Rachael Goldberg, Collections Manager, found in their collection the “last will and testament” of Peter Lavien dated February 12, 1778. 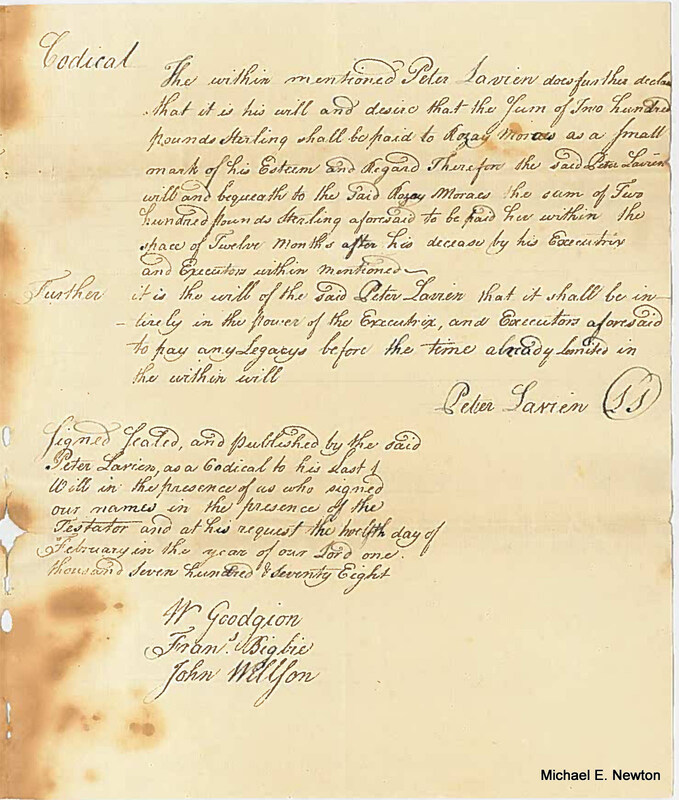 In his will, Peter Lavien wrote, “I give and bequeath to Alexander Hamilton and his brother Robert Hamilton (as the Testator believes) each one hundred and fifty pounds sterling.” [Hamilton’s brother was named James, not Robert.] Lavien also bequeathed three hundred pounds to Thomas Grayson and two hundred pounds to Rozay Moraes, but left the bulk of his estate to his wife and John Kean, his business partner, to be split equally between them. Peter Lavien died sometime before March 1781. 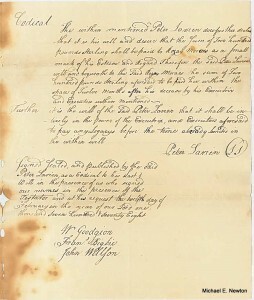 Upon Lavien’s death, John Kean, his “surviving copartner,” auctioned off “the property of Peter Lavien and Co.,” including “fifty-five valuable slaves, chiefly country born, some plantation tools, horses, etc.” When Hamilton learned of Peter Lavien’s death, Hamilton wrote to his wife, “Engrossed by our own immediate concerns, I omitted telling you of a disagreeable piece of intelligence I have received from a gentleman of Georgia. He tells me of the death of my brother Levine. You know the circumstances that abate my distress, yet my heart acknowledges the rights of a brother. He dies rich, but has disposed of the bulk of his fortune to strangers. I am told he has left me a legacy. 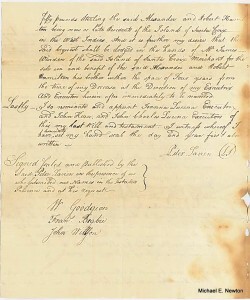 I did not inquire how much.” Hamilton also wrote to Nathanael Greene, “I take the liberty to enclose a letter to Mr. Kean, Executor to the estate of Mr. Lavine, a half-brother of mine who died some time since in South Carolina.” The letter from Hamilton to Kean has been lost, but it obviously concerned the “legacy” Peter Lavien had left him. 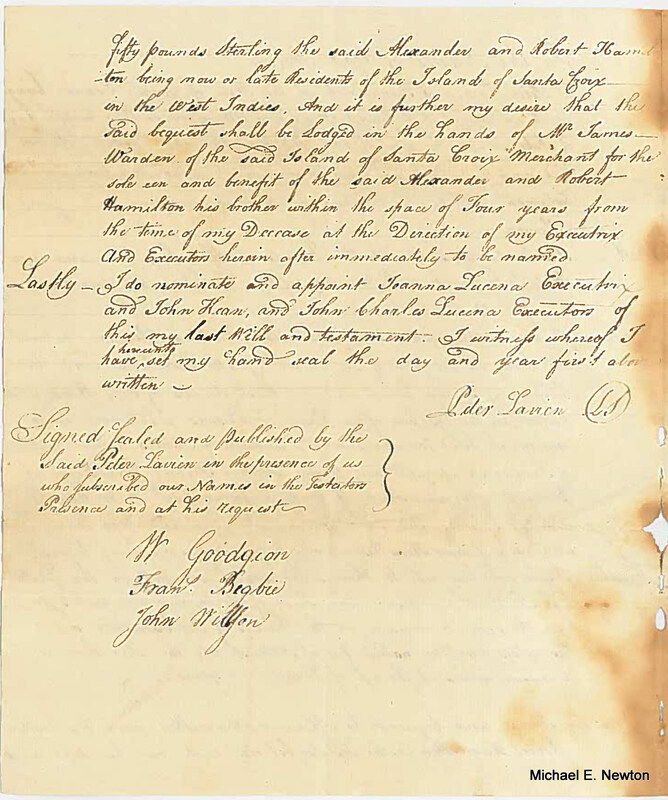 The recent discovery of Peter Lavien’s will finally reveals the “legacy” that he had left for Alexander Hamilton. 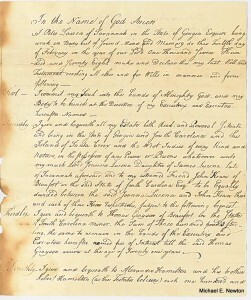 Citations and more supporting evidence will be found in Alexander Hamilton: The Formative Years. 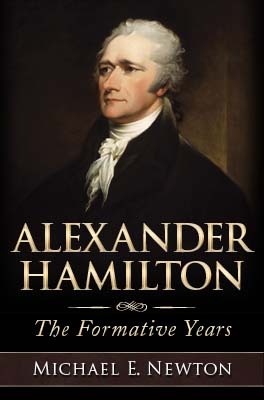 Alexander Hamilton: The Formative Years is now available for purchase.